Today, generating valuable leads remains the number 1 priority for business owners. By working with Google or Bing, PPC search and display campaigns can generate a substantial amount of traffic to your website. Since you’re paying for each click, every single aspect of your PPC campaign must be well planned to ensure you maximize your entire budget. A PPC campaign’s success relies on multiple factors including landing page design, your value proposition, and your campaign budget, to name a few. Yet, most campaigns fail to grasp the importance of effective PPC copy, which can make or break a PPC campaign. Leveraged by years of experience running PPC campaigns, the experts at Premiere Creative have 5 tips for writing text ads to help supercharge your PPC campaign’s results. What prominent issues does your audience face? How will your product help solve their problems? What types of questions might they have about your services? By answering these questions, you will gain insight on what to include when in your ad’s messaging. Google AdWords gives your PPC ad two 30-character headlines plus an 80-character description. You’ll need to strategically plan out your PPC text ad so that no amount of real estate goes unused. You have a limited amount of space to make your case; in some cases, you’ll need to make the tough decision to drop a sentence or two. The key to gaining more clicks relies on your ad’s ability to grab your audience’s interest. For this reason, your headline is a make break. Furthermore, a strong headline will guide you through the rest of the ad building process because your ad’s description line, display URL, and ad extensions should complement the value proposition in your headline. You only have an instant to grab the viewer’s attention, so make sure that your messaging remains clear, concise, and free from unnecessary jargons. If you want to arrest a reader’s eyes, try highlighting a discount percentage. Everyone loves discounted or free offers, and adding this offer may encourage more users to click through to your website. When users perform a search query, they usually have the intention to buy. Users check out services, product pricing, and availability, often comparing your services to your competitors. So how do you beat the competition? By weaving in targeted “niche” keywords into your PPC text ad, you increase your odds of appearing more relevant in searches. You’ll need to integrate these valuable keywords throughout your ad, typically in your headline. You’ll also boost your chances of converting a user by matching your ad copy to a user’s search phrase. If a viewer is searching for “Web Designers NJ,” then try putting “Top Web Designers in NJ” in your ad copy. Finally, don’t forget to add negative keywords to your PPC campaign. 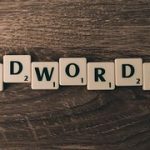 Incorporating negative keywords into your campaign will also help you steer clear of unwanted clicks that would eat away at precious dollars. We all know how important first impressions matter. 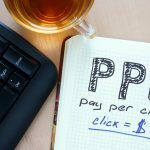 Planning, designing and writing a PPC text ad requires serious thought because it may mean the difference to avoid becoming lost among the competition. Need some help writing your PPC text ads? Don’t worry; we’ve got you covered! Let the experts at Premiere Creative help you create an enticing PPC campaign that no web user can resist clicking on!